Reykjavik Marathon takes place in the centre of Reykjavik every year on Saturday August 18th or the Saturday following the 18th, as the case may be. That date is the anniversary of Reykjavik City. Reykjavik Culture Night (Menningarnótt) takes place in Reykjavik on the same day. 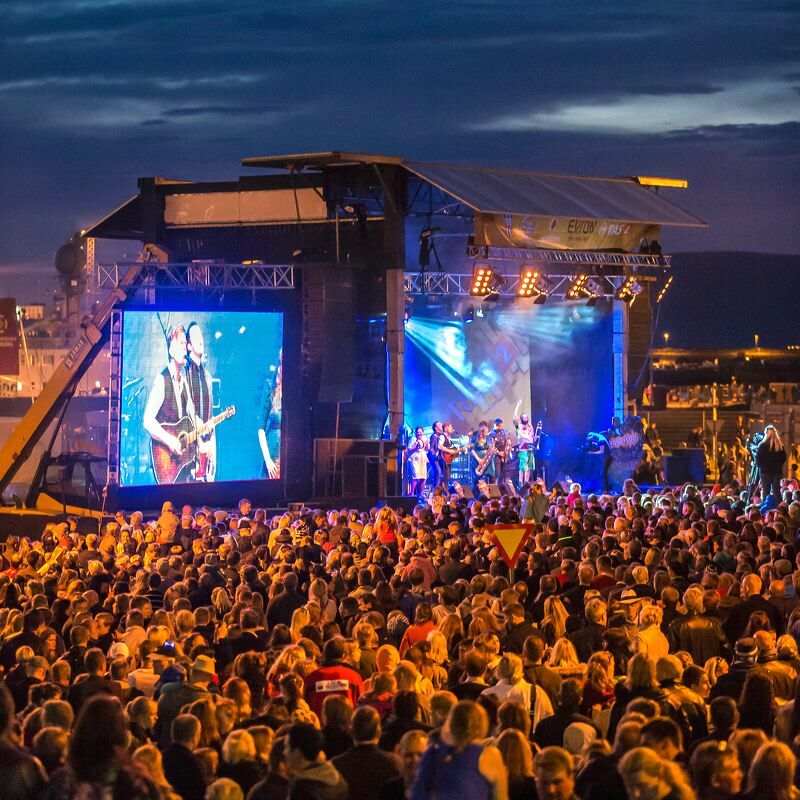 The Reykjavik Culture Night is one of the most popular events in Iceland and is the city's greatest celebration. People from all around the country and from abroad travel to the capital to enjoy various cultural events. This is truly an art festival with all kinds of happenings all over town, be it theatre, music, fine arts, food or just fun. The long program of cultural events stretches right through the day. A myriad of art exhibitions, string quartets and theatre events rub shoulders with rock bands, graffiti artists and an air display in the run-up to the fireworks at 11pm. The spectacular display heralded the official end of the celebrations, but as the heavens open, many thousands of people make their way to the bars and nightclubs to find out why Reykjavík thinks of itself as such a cool place to be. More information about Reykjavik and the Culture Night can be found on the web visitreykjavik.is and culturenight.is.